Thierry V. Barkley was born March 21, 1955 in Paris, France. The Barkley family emigrated to the United States in August 1967 and moved to Reseda in the San Fernando Valley in 1969. Thierry graduated from Reseda High School in 1972 with honors including membership in the California Alcuins Scholarship Federation, Outstanding Teenagers of America and elected a member of the City of Los Angeles Ephebians Society for his civic activities. Thierry attended UCLA, graduating in 1976 with a Bachelor of Arts in Political Science. Thierry attended UCLA on a full four year scholarship as a California State Scholar. At graduation he was honored as one of 50 Chancellor’s Marshalls (Blue & Gold). In the summer of 1976, Thierry was proud to see his father’s 4th Symphony “America 1976″ performed by the San Diego Symphony as part of the nation’s bicentennial celebrations. Thierry obtained his Juris Doctor from California Western School of Law, in San Diego in 1979. During this time, Thierry worked with then Prof. Houston Lay who was the director of the International Law Program. 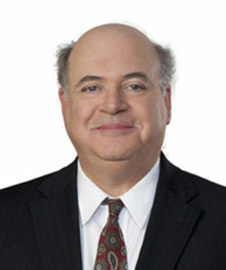 Thierry was both a member and director of the School’s Phillip C. Jessup Moot Court Team as well as an associate editor with the International Law Journal. Thierry interned his last year with the 4th District Court of Appeals as law clerk to Justices Cologne and Staniforth. In 1979 Thierry moved to Nevada clerking with the Hon. Merlyn Hoyt for the 7th Judicial District Court. Thierry stayed on for a second term and set roots in Nevada. After a stint as a City prosecutor and general practice, Thierry and his wife Mary Ellen decided to move to Reno where Thierry started his career in insurance defense litigation in 1983. The Barkleys have made Sparks their home since 1986 raising four children Richard, Robert, Marriah and Christopher. Thierry’s community involvement has included service as President of the Jaycees(Ely), Esteem Lecturing Knight for the Elks, and Past Grand Knight(2006) and Trustee for the Ponderosa Council 4928 Holy Cross Parish, Sparks(2007) and District Secretary (2007-2008) for the Master of the Fourth Degree Nevada Dist. Junipero Serra Province. Thierry is licensed to practice law before the Nevada Supreme Court, the Nevada Federal District Court, the 9th Circuit Court of Appeals, and the U.S. Supreme. He is also an active member of the Defense Research Institute as a Regional Editor for Covered Events, acts a state liaison for the DRI Insurance Law subcommittee and the newly formed Lawyers & Professionalism committee. He is a frequent lecturer on handling coverage and bad faith litigation. Thierry concentrates his practice in insurance work including life, health, disability, ERISA, coverage opinions, defense of bad faith litigation, errors and omissions and complex litigation. Mr. Barkley is AV rated by Martindale-Hubbell.